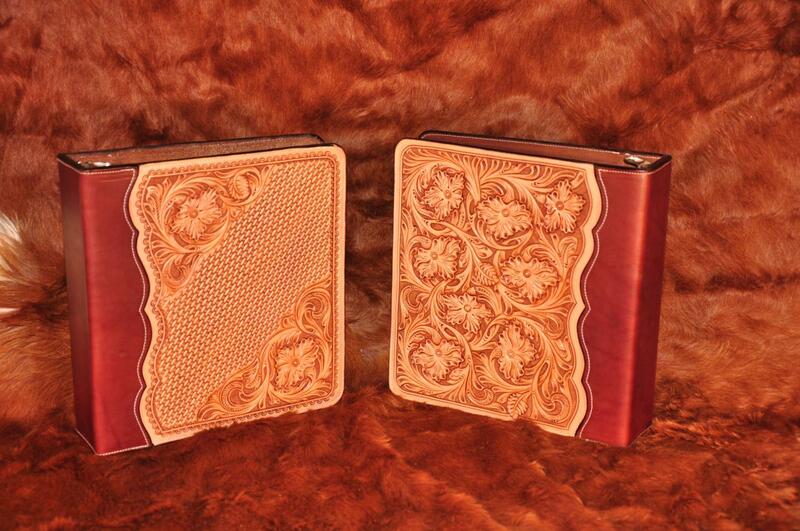 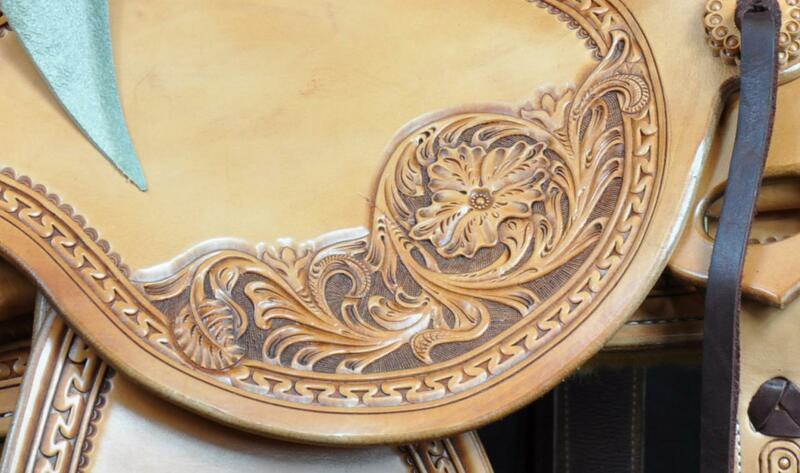 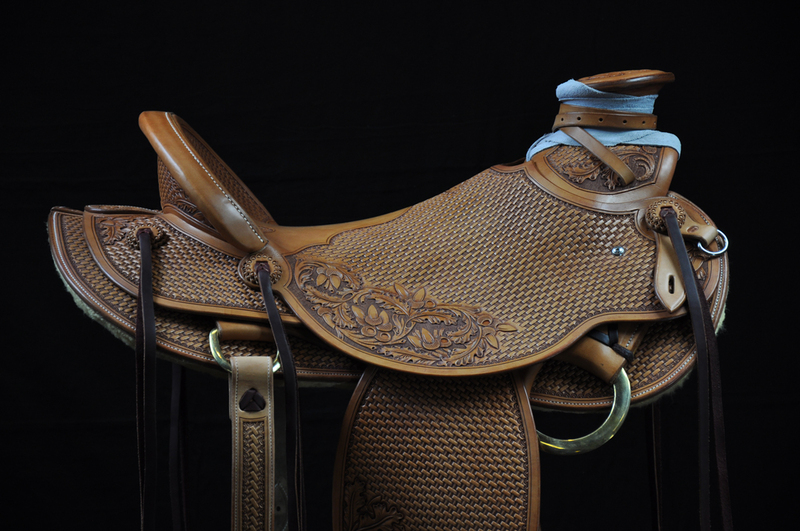 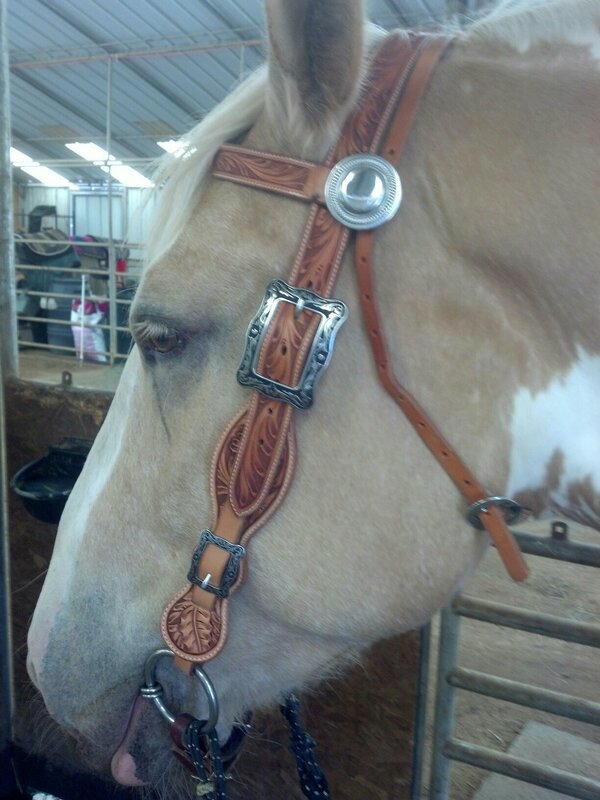 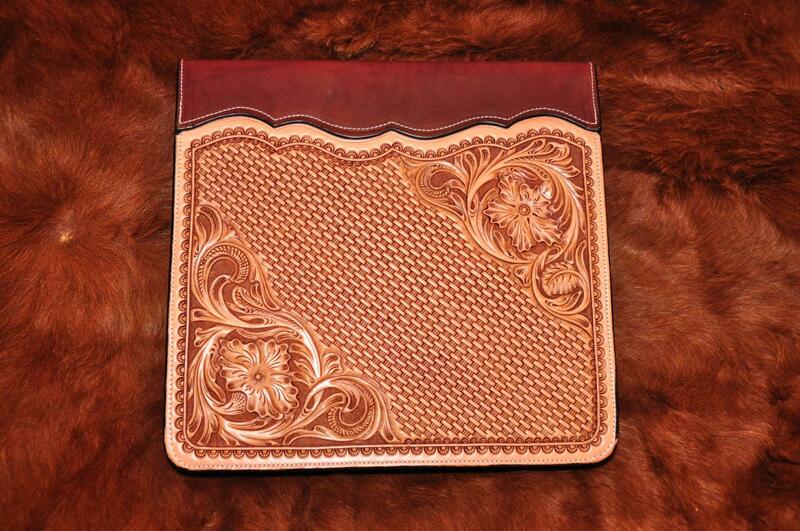 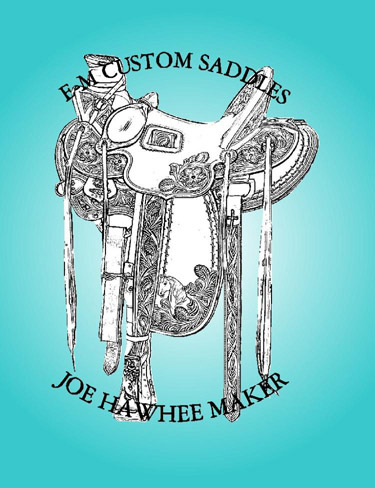 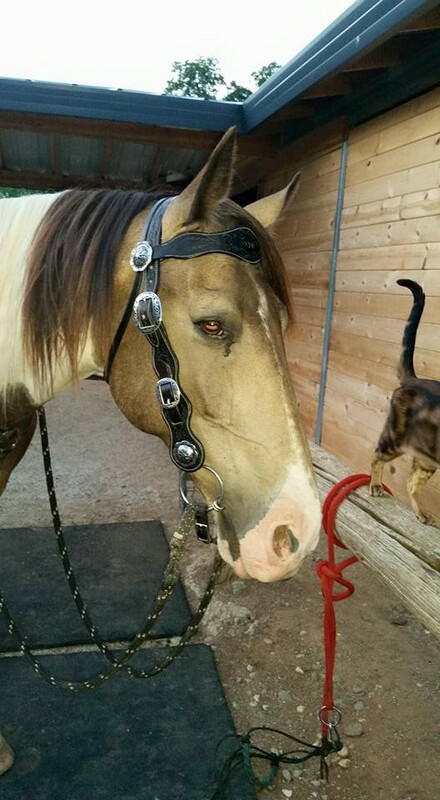 I have here a selection of saddles and custom tooled leather Items. 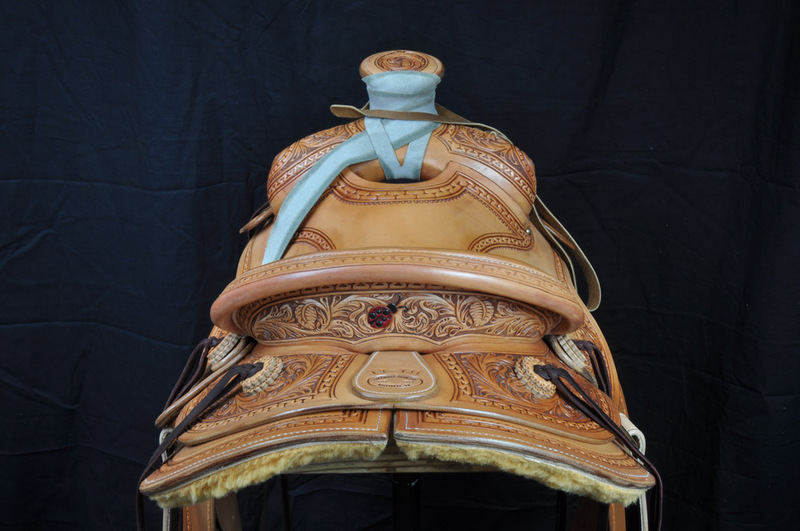 From Modified Association, Cliff wade, 58 wade, Homestead wade, and Paterson ropers I believe all have a Nevada twist and wrap on the stirrup leathers. 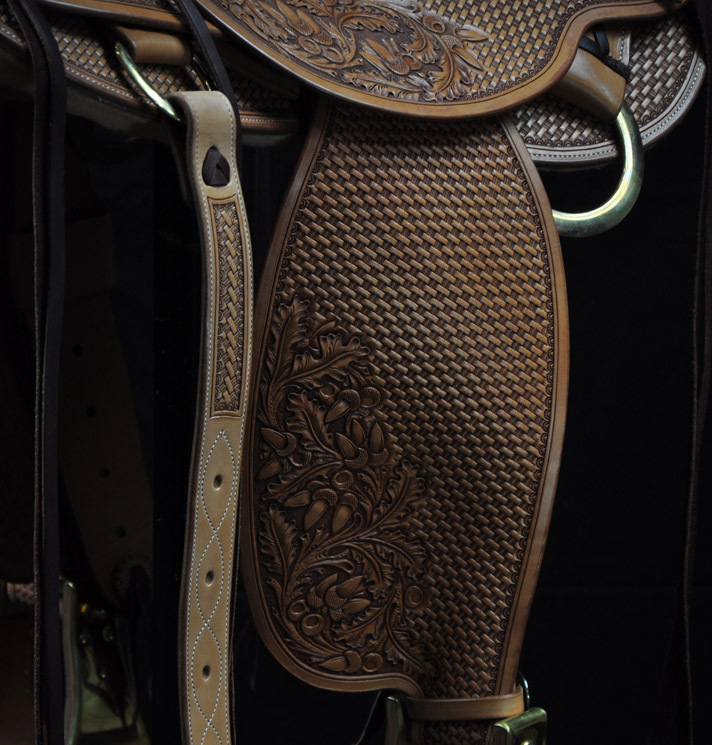 Some have Bucking rolls, they are made either plane or with embellishment, such as floral carving in the Sheridan style or oak leaf tooling. 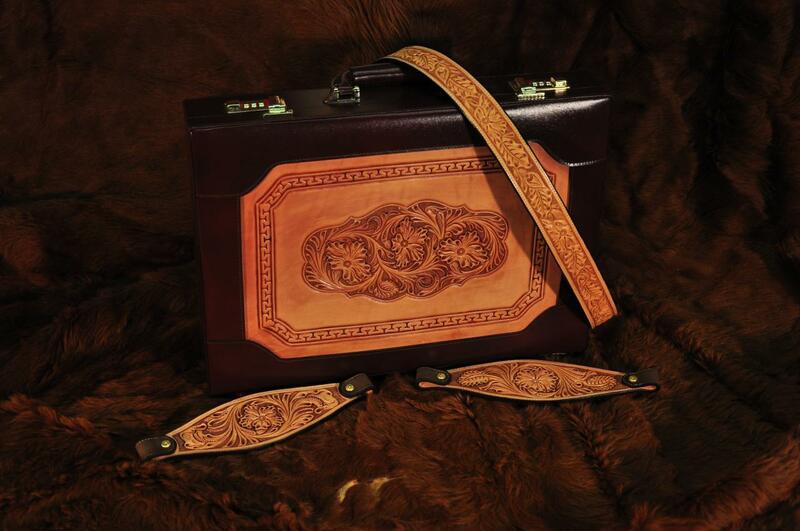 With, border tooling, basket, or geo stamping. 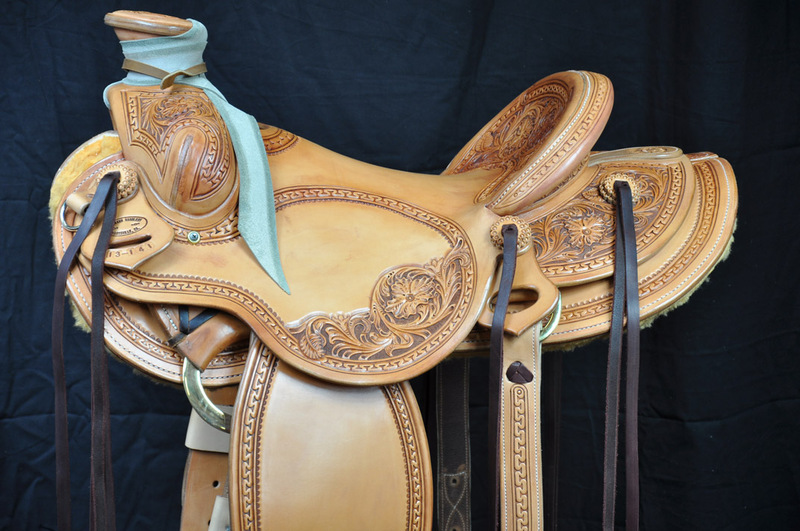 Most are in the Buckaroo style.